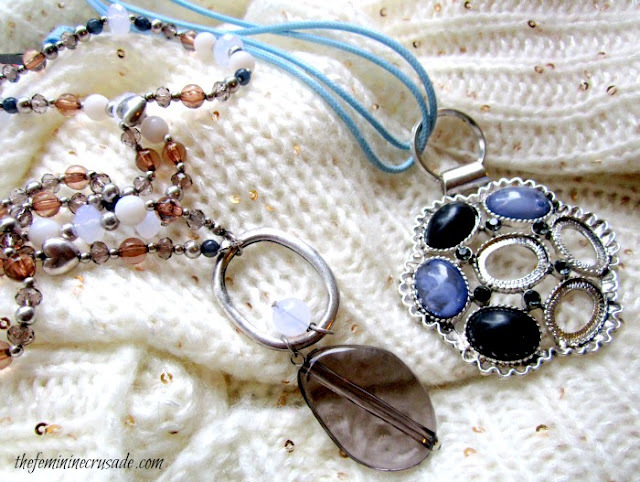 In the past few weeks I spotted a couple of jewellery sales and despite not being much of a jewellery hoarder I picked a few items that I thought would go well with my spring/summer wardrobe. A nice change from the layers of woolly scarves and furry jackets! There was a 50% all jewellery sale at a Madonna outlet here. I have lost the receipt so have no clue about the exact prices but both these necklaces cost around 3-4 EUR. 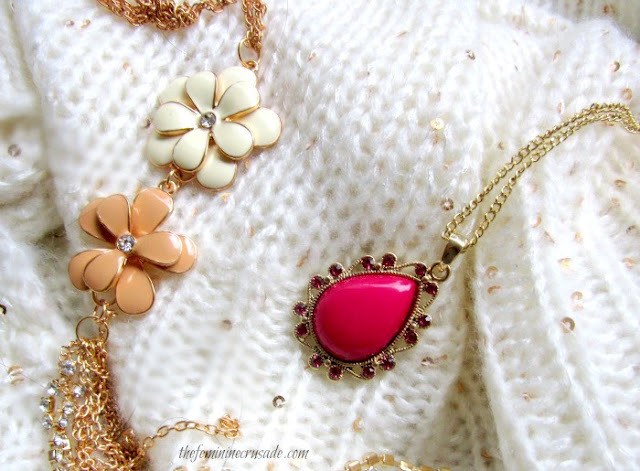 The pink one is just here because my husband loved it and I found the flower necklace quite fetching myself. I have recently become quite obsessed with owls, be it owl notebooks, owl keyrings, owl mobiles cases or owl necklaces. 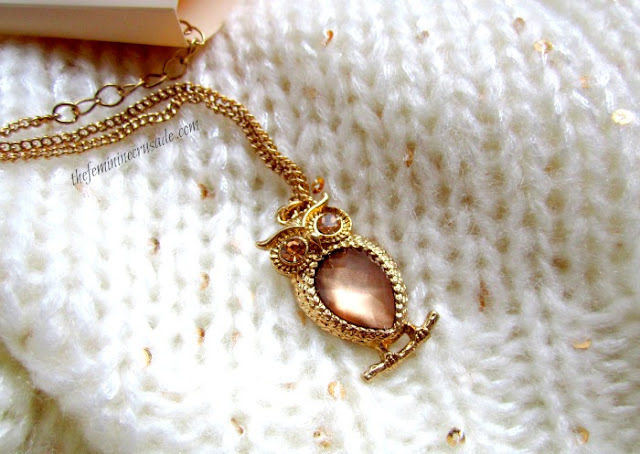 I ordered this Owl Charms Necklace from Forever 21 for €1.60. Before the 50% sale there was €1 clearance sale at Madonna, where I picked some last-minute jewellery while actually shopping for shoes. Because of that I ended up with a necklace with missing stones. Since it was only a euro, I didn't bother much. Still I'd like to fix it up by taking some of the stones out. Unfortunately, I have no idea how to loosen the glue and am stuck with it till I know. Let me know if any of you have a clue! 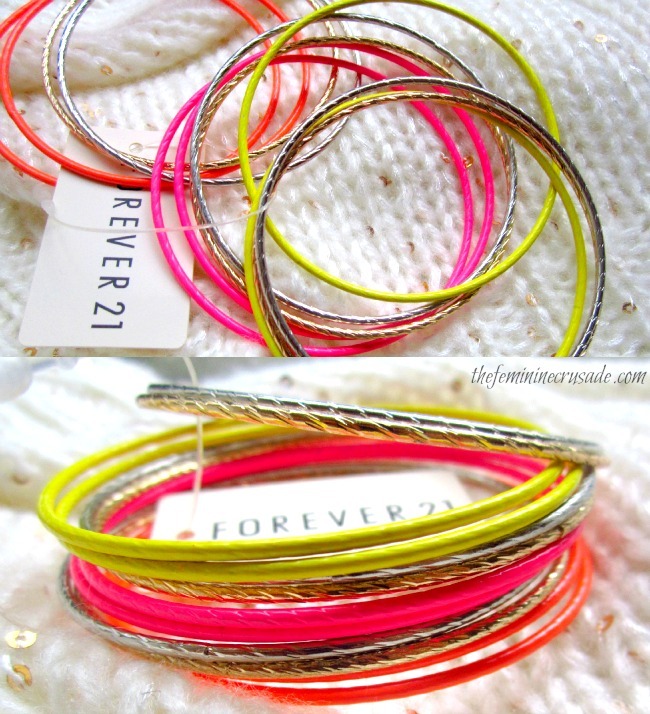 This Neon Bangle Set is from Forever 21 for €2.99! 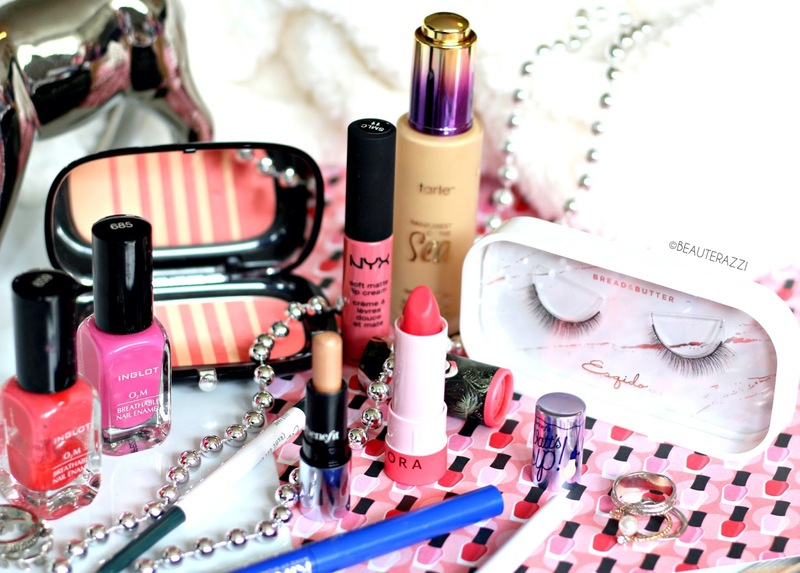 I love brights! Who doesn't in spring? So just had to have it! 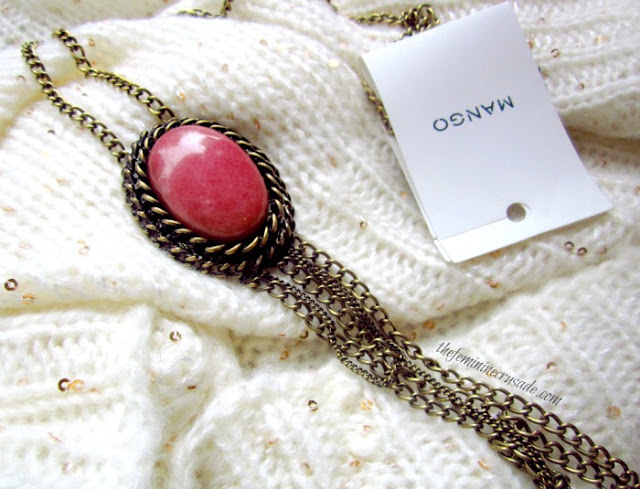 I also did an outfit post on my instagram wearing this Mango necklace (€7.00). The neon yellow bracelet on the left is from the similar €1 Madonna clearance sale. And the star drop-earrings on the right are with the 50% discount costing only 3 EUR. 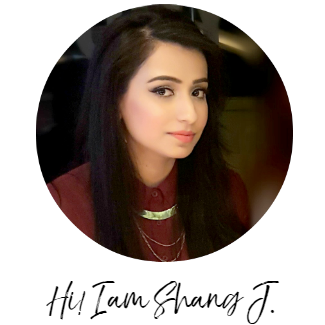 After this, I think, I might be addicted to jewellery. You never know what goes in the mind of a shopaholic! 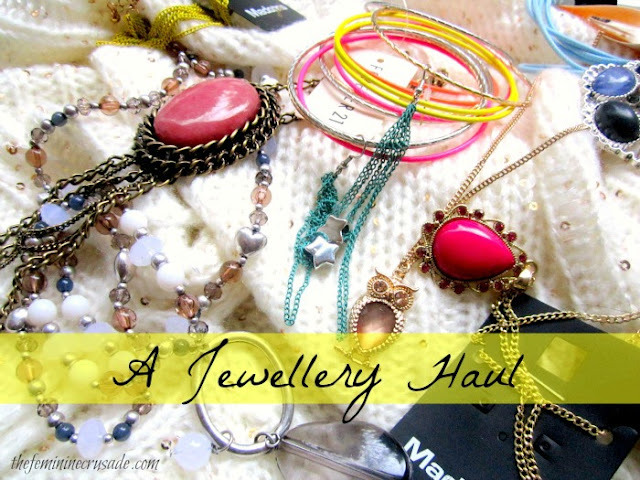 What is your favourite piece of jewellery from my haul? Enter my OPI Euro Centrale Mini Collection giveaway HERE!